I almost exclusively play the heavier euro style games, so if that isn't what you like then you won't like my list either. This is currently my 'games to watch list', but I will continue to update and sort the list as I play them, find new games, or learn more about these games all the way to the end of BGG Con and probably a week or two after that. The games are sorted based on how much I like them (or predict that I'll like them) and I'll add in comments as I play them. My ratings tend to be 2 points below BGG for average games, around a 5.0 for an average game. Anything 8.0 or higher is going to be in my top 10% and it something that I'll most likely play 20+ times over the next 12 months. Deleted a few games from the list that I had no interest in playing. Added Russian Railroads, Canterbury, and Francis Drake. I don't see why I'd ever want to play Agricola again. The changes for Caverna make the game far less frustrating than Agricola. As long as you develop at least one dwarf with a high weapons value there is always a way to do almost anything. The weapons also make it not as important to get extra children as soon as possible since you can instead spend time improving weapons which gives you just as much value as an extra worker. I could see my rating fall a tiny bit on this one, but probably not by much. I played it as a 4 player and it worked quite well. I suspect it is best as a 2 or 3 player game as that would give players much more control over the board. 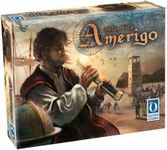 With 4 players it is hard to plan on building in any particular city or buying a particular card as so much happens over the course of the 2 or 3 rounds that it takes to set up a move. Not a perfect game, but for the length and complexity it worked very well for me. This is a must buy for me. 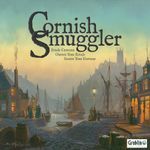 I didn't get to play this at BGG Con and didn't manage to get to the ZMan games booth before Zev sold out of them. I had stopped by right after I checked in at around 11:30 on Wednesday and he had sold out just a few minutes earlier. I know one person with a copy so hopefully I should be able to play this next week. People I know who have played it liked the game quite a bit, so I'm pretty hopeful that it is a solid game and have moved it up to #2 on my list. I really like this one but it does have a ton of rules to learn. I think this is a game that has to be played two or three times before all the rules become very well understood. Outside of the complexity of the rules, the only complaint I have is that I think the game relies too much on scoring of the Crown's Requests. I'd really like to have seen more opportunities during the game to score points. Good mid weight euro. Seems to have several different ways to get good scores, pretty good randomization elements (random board, random market each round, random order of personality cards) should help to keep it interesting. I don't foresee playing this more than 10 or so times over the next year though. I like the scoring mechanism where all of the scoring is a multipler, but I do think it will tend to force players to concentrate on only one or two categories. This game would probably be best as a 4 player as it should force more competition. With only 3 players everything was very open in my only play of the game and each player was able to concentrate only on increasing their multipliers and whatever category they were trying to multiply. I enjoyed this more than I thought I would based on reading the rules. Not a game that I love, but it is pretty solid. Seems that too many points come from the cards at the end of the game, they level 6 cards should probably cost +10 coins extra to buy or something like that. I'm not a big fan of racing games but this is the best implementation of one that I've played. While I did enjoy it I don't have a great deal of desire to play again. My 7.25 ratings is my feeling about the game but I think that many people will like it far more than I do. It is done very well for what it is. My biggest complaint about this one is that it felt like multi player solitaire. The player interaction is quite low on this one outside of racing to buy a card that you need before someone else buys it. I like a lot of things about this game, but the cube tower is an unnecessary annoyance which could have been implemented using a pure dice method. The game can also be very harsh where one player can be completely blocked off. In a 4 player game I blocked one player off on a huge island and another player got blocked off by the combined actions of other players. 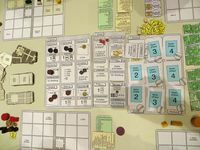 This prevented both players from being able to make good use of the green/red actions toward the end of the game, meaning they also could not pick up the commodity tiles from the board either to increase their scoring multipliers with the tiles from the gold action. I think in many cases a player can take actions to protect themselves from being blocked, but in a 4 player game I think there are often going to be situations where a player gets completely screwed over, likely by the combined result of actions by 2 other players. 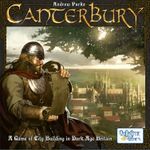 I rate this below Castles of Burgundy, Trajan, Bora Bora, Luna, and Year of the Dragon. Probably slightly above Bruges and Notre Dame. 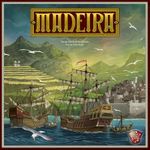 I also hate Macao so that is way down on my list of Feld's games, above only Rialto which is his worst game in my opinion. I liked the game, but overall I like Egizia better for a similar feel. I'm also not a big fan of bluffing/guessing mechanism, to me it is just lazy game design. I'll definitely play it again and I could see my rating go up a bit, maybe to as high as 7.25. I really don't see being able to rate it higher than that though. This doesn't affect my rating of the game, but it does affect my likelihood of buying it. The board is way bigger than it should have been. There is no reason to have made the board and box as large as they are. This is a negative for me as it does take up as much space as two normal games. Not technically a Essen game and I'll have played this long before I make it to bggcon, but I'm putting it on my list anyway. This game attempts to simplify Through the Ages. It has military units, colonies, wonders, leaders, and buildings. Each nation has a total military strength and a stability score (stability is very much like happy faces in TTA). Players do not hold cards in their hand, as soon as you buy a card it goes into play. Buying a card costs gold (1 for the first row, 2 for the 2nd row, 3 for the 3rd row). Each player gets one action at a time and play continues until all players pass (generally when they run out of resources or have nothing useful to do). 11/1/2013: I definitely plan to play this game a few more times as I enjoyed my first play. Game feels like it has some major weaknesses especially when compared to Through the Ages, but the rules are far simpler so I think this makes a great entry point for players who have not played TTA or who don't have enough time for a game of TTA. 11/16/2013: The more I play/teach this the less I like it. 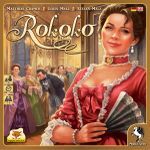 Adds a 5th player and some variable powers, I have high hopes for this after the masterpiece that was Tzolk'in from 2012. 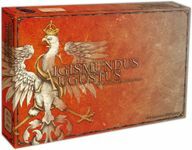 Looks intriguing, getting an English version for Essen 2013. 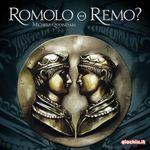 Another game design from the Wolfgang Kramer and Michael Kiesling team. Neither has had a highly successful game in a few years, maybe this will be the year? 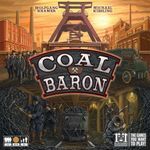 Two games about coal mining in the same year, maybe both great games? Who knows, this one does look interesting though. 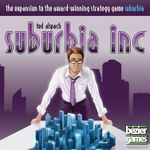 Suburbia was a solid game from 2012, need to take a look at the expansion. I enjoy lighter euros on occasion and Suburbia did a great job of filling that niche for me last year. I often enjoy auction games, always a good way to keep a game balanced. Looks a bit light for me, but I need to take a look at it. Keyflower was a solid game, have to check out the expansion. Bad mix of high complexity and high luck. Hard to plan your turns, hard to track what other players are doing, low visibility to what scoring options will be available in the game. Lot of good ideas here, but the resulting game after putting them all together just doesn't work well for me. Description seems decent, a bit short according to the expected play time but certainly worth a look. Snowdonia was a decent game, have to take a look at what they are doing with this expansion / new version / whatever it is. Might be good, but hard to tell without reading the rules. Artupia's games have generally been too light for me to enjoy them, and this one also has a play time of 90 minutes.